Or view larger version. Untitled. 1875. Unknown artist. Gelatin silver print. Collection of Oakland Museum of California. Gift of the estate of Anne Protopopoff. 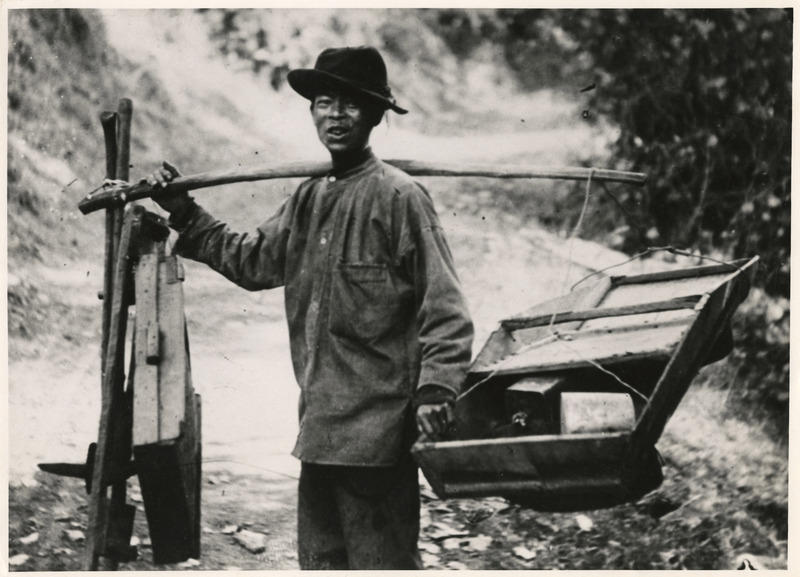 This is a photograph of a Chinese miner carrying mining equipment including, a yoke, a rocker, a pickaxe, and a shovel. Chinese men immigrated to the United States in large numbers with the event of California’s Gold Rush. They came primarily to mine for gold, and to find work because of China’s economic and political instability at that time, but were met with hostility. Laws were passed by the California legislature to prevent them from earning living and to encourage them to leave the state.